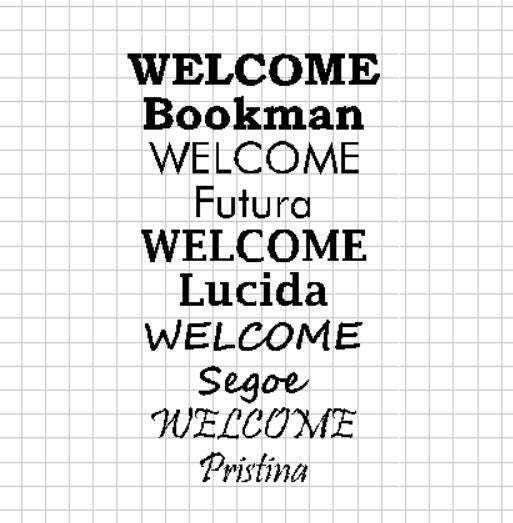 Choose from font styles as shown in final photo. 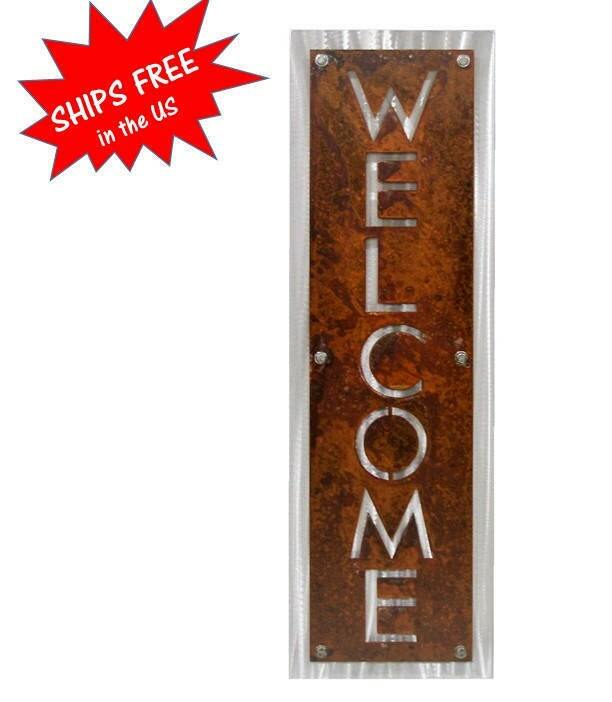 Many WELCOME signs are in stock and ships for FREE! 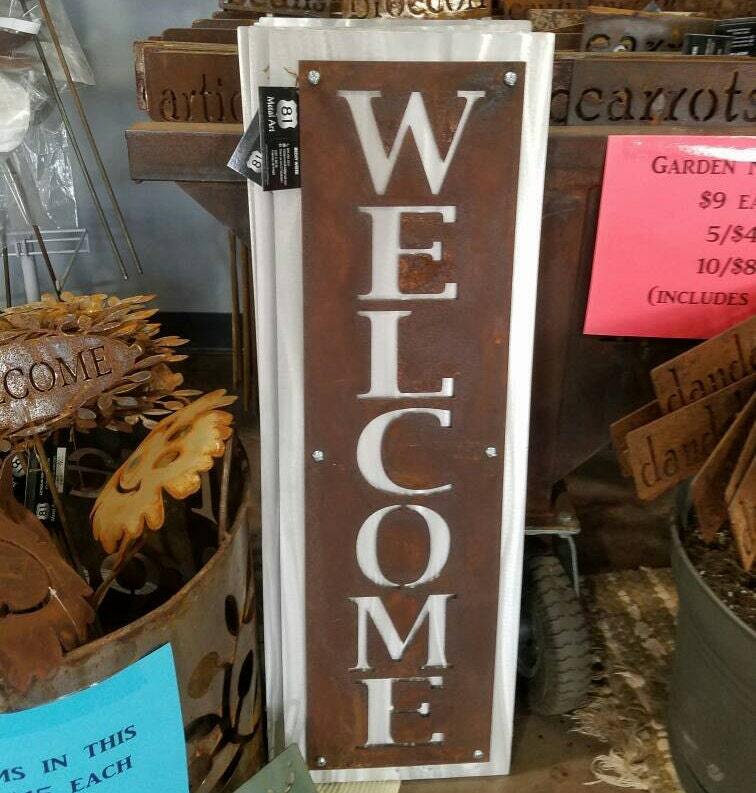 Vertical sign is 32" tall and 10" wide. 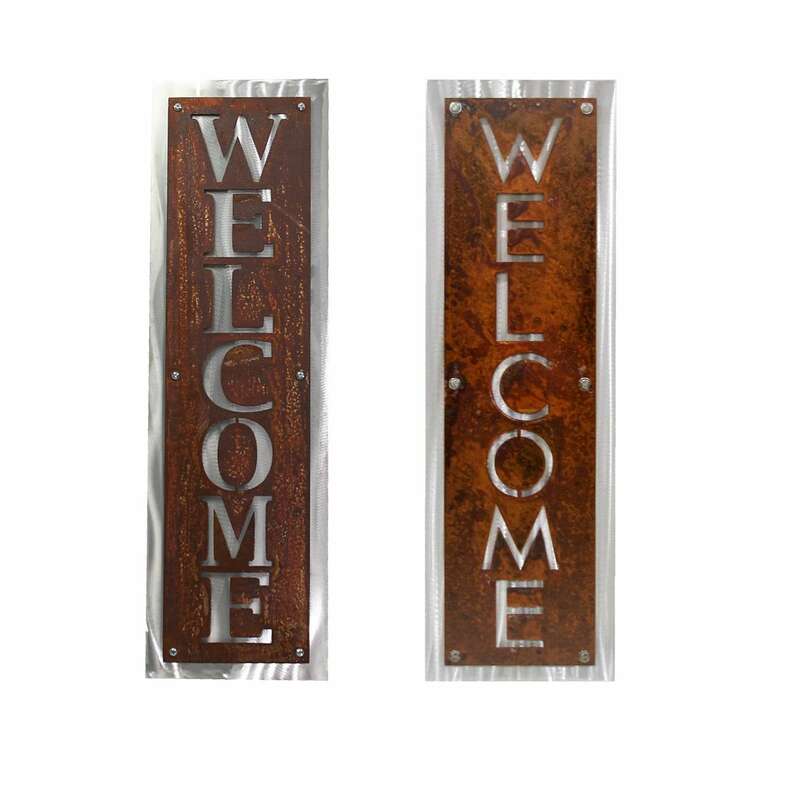 All signs have tear-drop shaped holes designed into the back for hanging easily. Holes and hanging hardware will be hidden from front view. 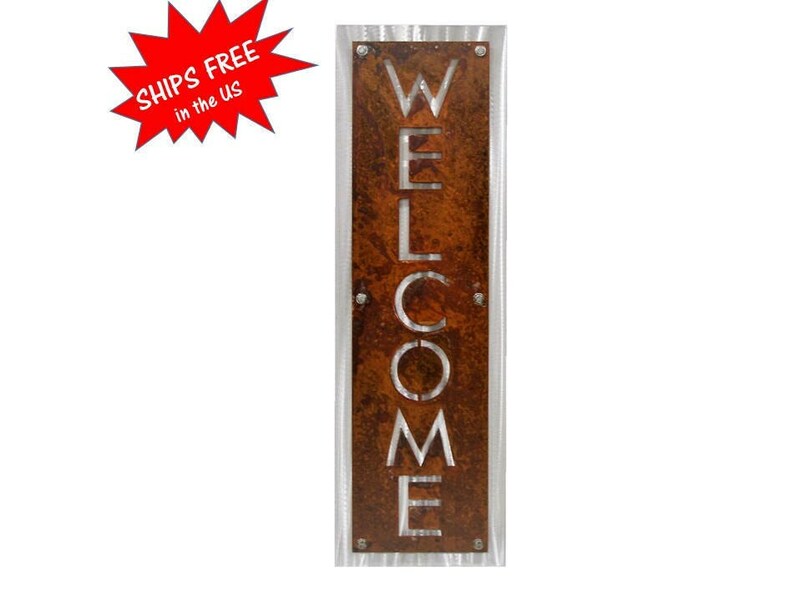 Welcome signs are also available in a horizontal view! Click here! Really warms up the entryway to our house. Fast shipping! Great seller with whom to work. 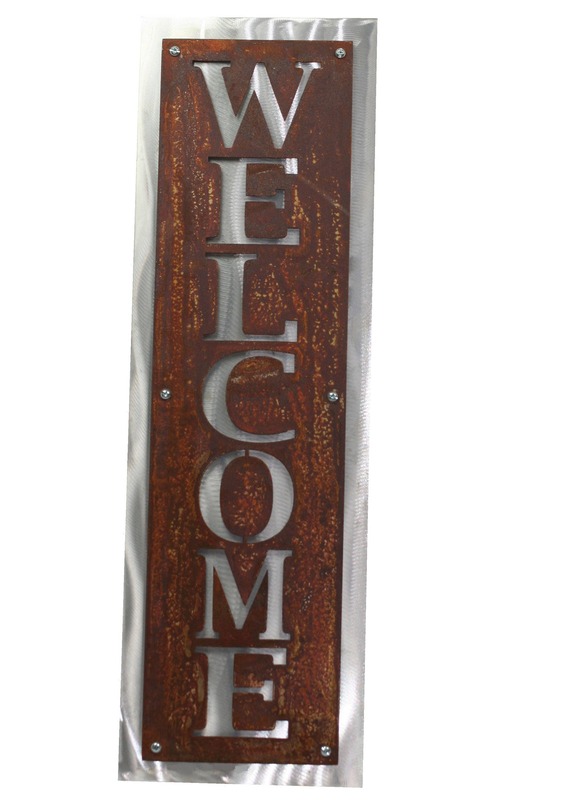 I love the welcome sign I purchased. I'm excited to give to my intended friend! Awesome sign!!! Quality is excellent. 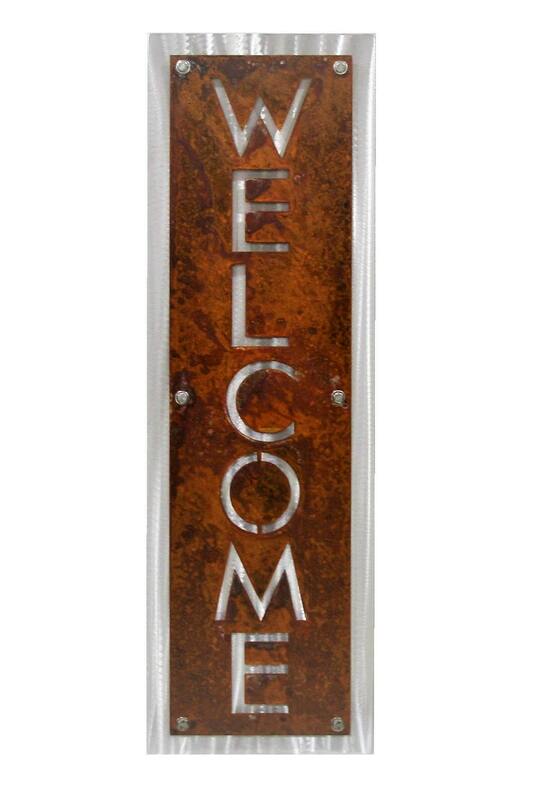 It's going to be a great addition to my front porch decorating. Thank you!